I love this little restaurant! 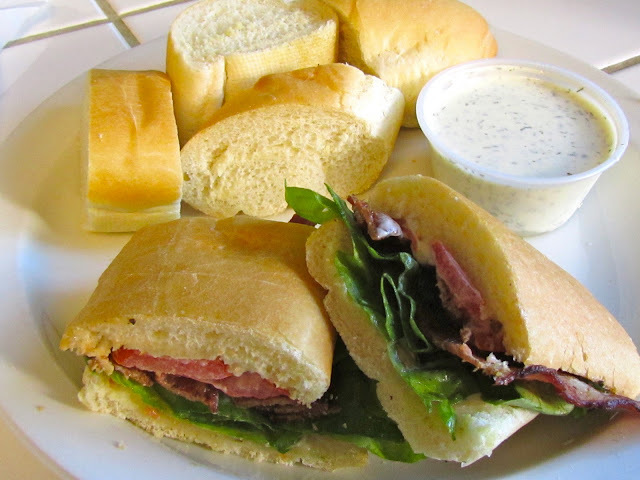 La Bou is a small chain in the Sacramento area that serves sandwiches, soup, fresh baked french bread, baked goods, and salads. They're only open until about 4PM, so it's mostly breakfast and lunch. My favorite thing to order is a half sandwich, half salad combo, with a BLT on the baguette, and the Chinese Chicken Salad. I also usually order half a baguette, sliced, with a large dill sauce. Let me tell you a bit more about this wonderful place to eat. Their baguettes are amazing! I always get a bunch of it to go, because it's so cheap and a great tasty snack. The dill sauce is a must-get. You dip the slices of bread in the dill sauce, faint, rinse and repeat. I love getting the sandwich on this bread as well, and sometimes in a moment of pure sin, I dip my BLT sandwich into the dill sauce. Their BLT is simple, but heavenly on this bread. I usually season it with some salt and pepper, but otherwise it's perfect. 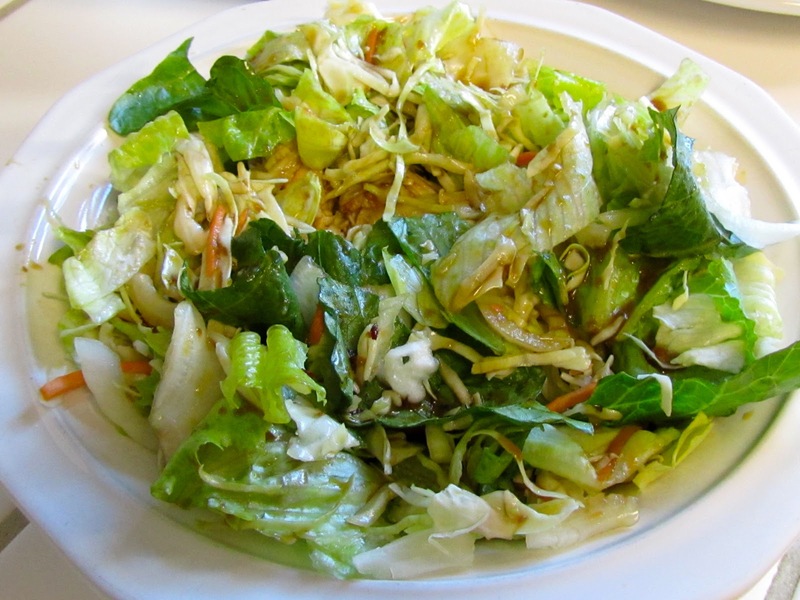 The Chinese Chicken Salad is amazing as well. It comes with peanuts and this wonderful dressing that is the kind of dressing you want on every asian salad. It also makes me feel a little healthier, even after scarfing down half a baguette without hesitation. I don't order much else, but from what I hear, pretty much everything on their menu is delicious. Their soups are wonderful looking, and perhaps when it gets colder, I'll try some of those. If you order a combo, it comes with 2 slices of baguette, so you have those to dip in the soup or in the dill sauce. If you get a chance to go here, go as soon as possible! If you need a quick, cheap snack, just order half or a full baguette sliced, with a large dill sauce; you won't regret it, I promise.